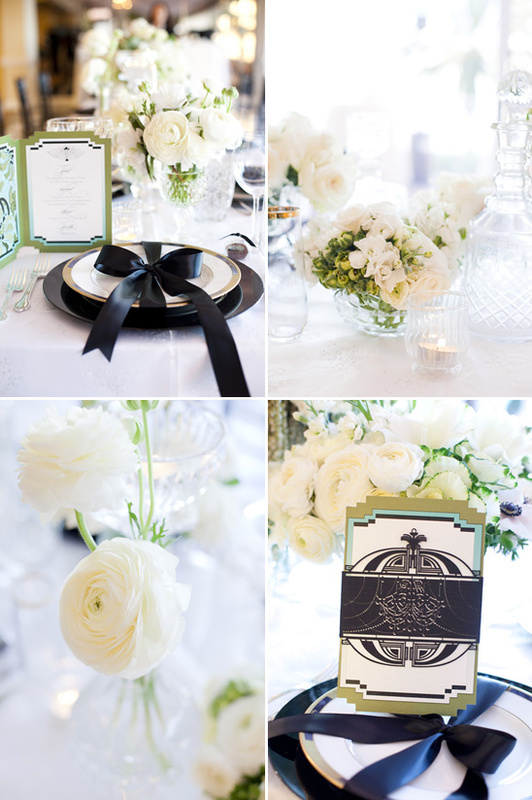 Black and white will always be a front-running trend in the wedding world. 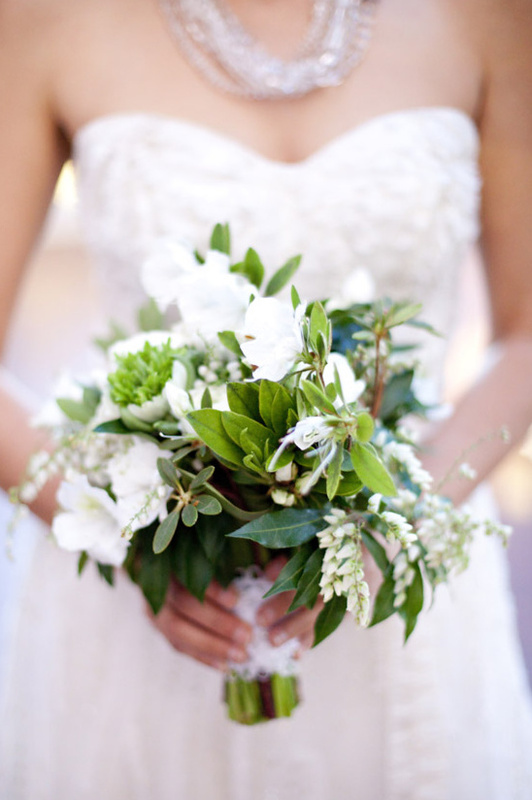 It is classic, elegant and timeless. 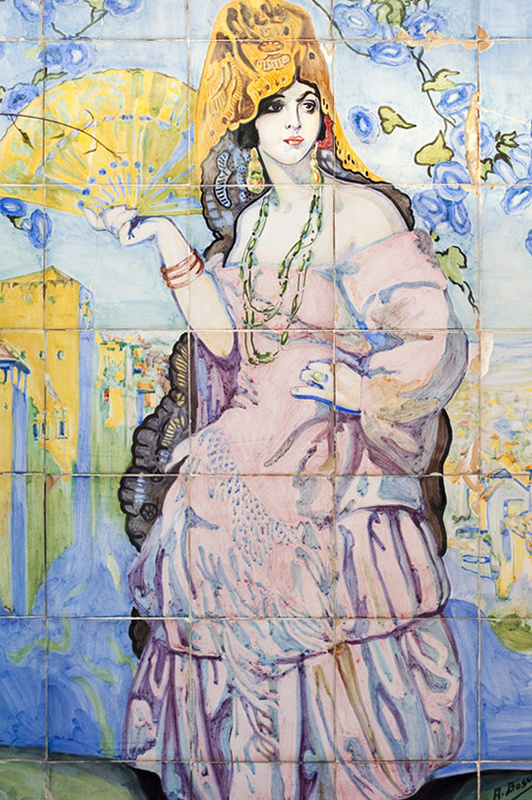 There are endless ways to personalize this palette to make it all our own. 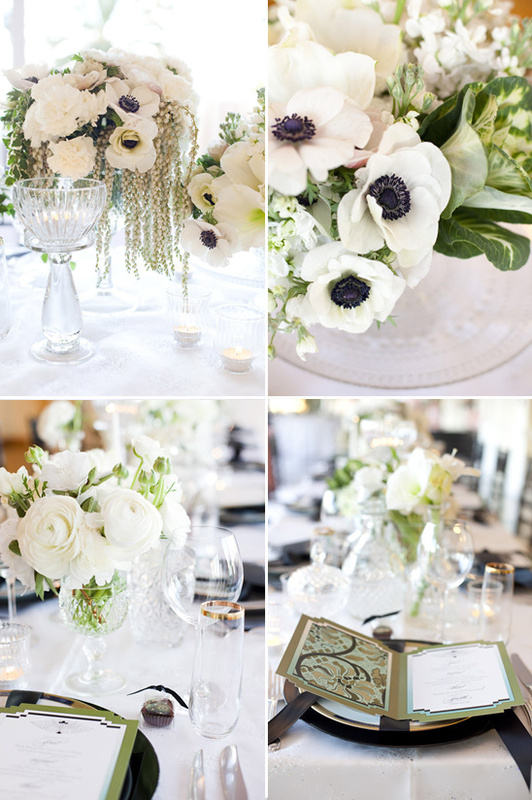 Alchemy Fine Events & Isari Flower Studio collaborated on an old Hollywood inspired table using these timeless colors. Framed by the hotel's crystal chandelier, delicate drapery and stunning black and quite checkered floor. The majestic table-scape came alive with luminous candles set aglow amidst cut crystal, urns and interesting shaped decanters. 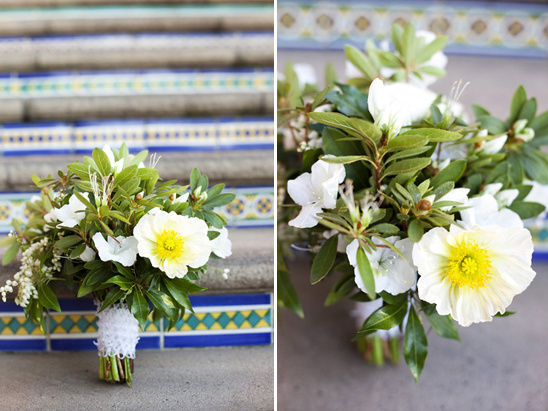 Photographed ever so beautifully by Luna Photo. See more romantic table decor ideas in the full gallery. 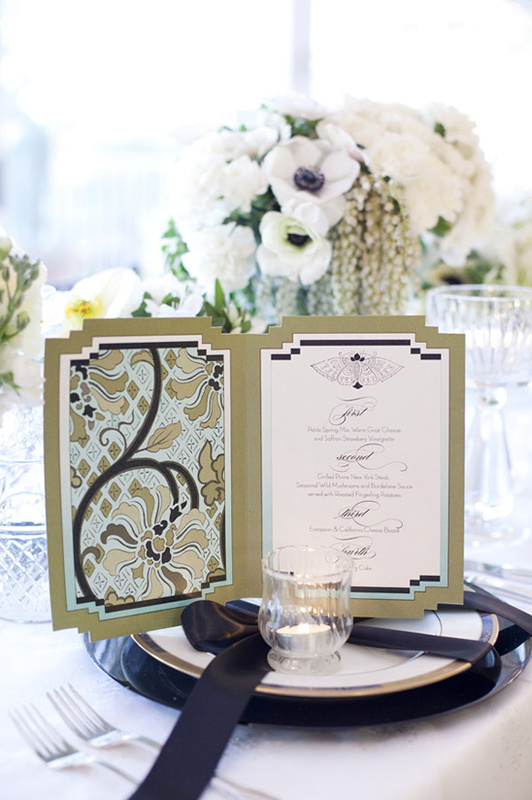 To complement Isari's floral palette of green, white and black, I created a super luxurious art deco inspired menu with a chinoiserie flair including illustrations in an aqua, green, black and white color palette. An intricate laser cut belly band featuring art deco and chandelier designs encompassed the folding menu that opened up to showcase delicate butterflies and romantic calligraphy. 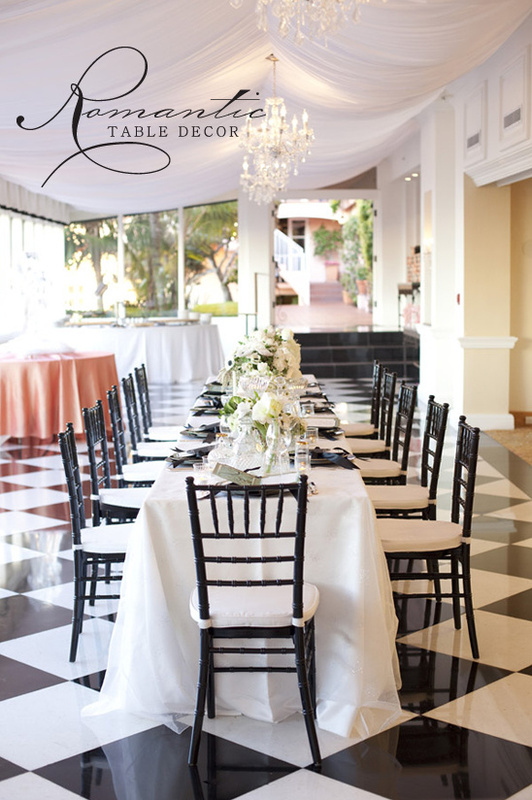 To showcase the gorgeous La Valencia Hotel in La Jolla we created an old Hollywood inspired table featuring sparkling cut crystal and a winter palette of black and white framed by the hotel's crystal chandelier, delicate drapery and stunning black and quite checkered floor.The majestic scape came alive with luminous candles set aglow amidst cut crystal, urns and interesting shaped decanters. We selected winter white blooms such as amaryllis and anemones with it's black centers, reflecting and resonating the black touches from the other details such as the black chivaris. Giant ranunculus, azaleas, pierris, and parrot tulips snuggled up close with carnations while small wintyer cyclamen plants were placed under glass cloches for an interesting surprise. Glass candlesticks, bud vases, and other interesting shaped old world classic vessels were scattered amidst the arrangements for a multidimensional and interesting effect . 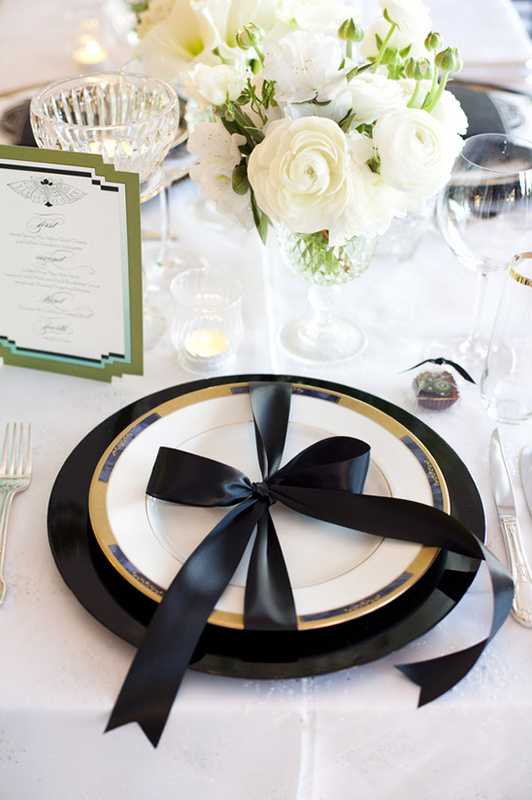 For a dramatic statement we tied on large black satin bows a la Chanel around each place setting to remind each guest that their presence was a gift. For an additional sweet detail, green and white chocolates were custom designed as an additional touch to offer guests.